The troubled Indian airline Jet Airways has failed to secure emergency funding from its lenders, says current report. It was India’s second-largest airline by market share, until recently. But dozens of its planes have been seized by creditors, leaving the firm with only seven operational aircraft. 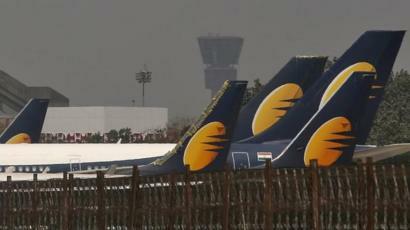 According to company’s Chief executive Vinay Dube said Jet’s board would meet on Tuesday. In a letter to staff, Dube said that interim funding had “not been forthcoming thus far”. “We will keep you updated on all critical developments,” he added. Goyal, who stepped down as chairman last month, is also thought to have lodged a bid, as have several private equity groups.